I will repost the video here about how to create and design your own Sierra Chart DoM. Sierra Chart is a highly customizable platform but you could have a hard time with the various options as a beginner user. With that said, I put together this little video which will hopefully of some help for you. 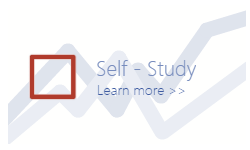 On the insights blog you read a written article about the options to design your DoM. You can download my chartbooks as well as the new DOM from the chart templates section on our website. 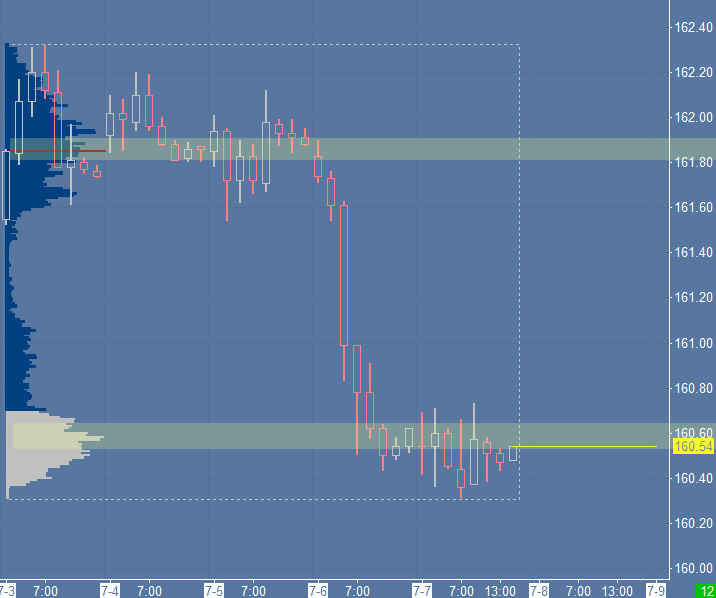 The mentioned balance area on the plain chart seems to support Bund currently. 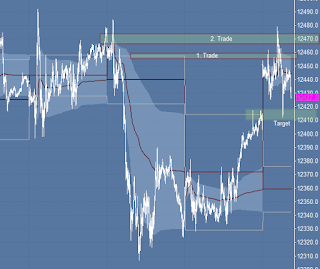 The market opened inside of Friday's value and broke out to the north to test the previous VWAP close level and possibly a previous VAH level. I'm on the sidelines for now. FDAX opened with a gap up today. 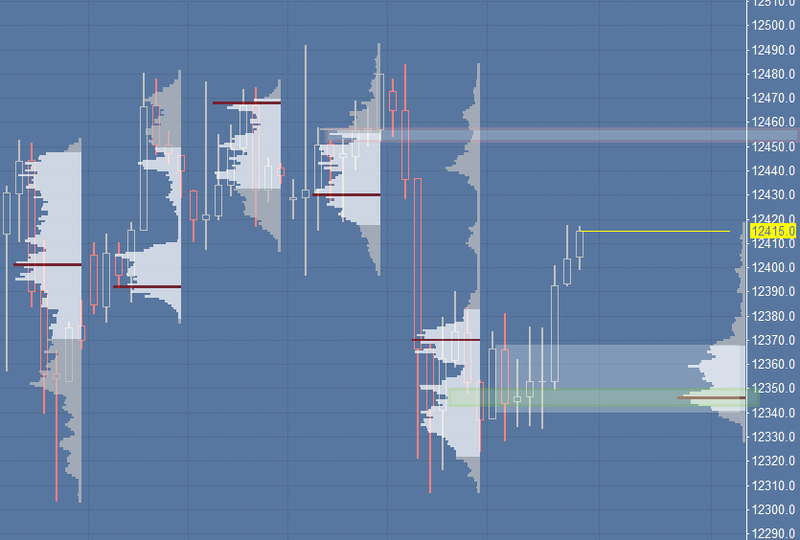 Friday was an inside day and as mentioned I was waiting for responsive seller or an opportunity to short the market with a expectation to test Friday's range. There were two particular levels which got me into short trades: a previous VAH level and the weekly VAH level. Unfortunately the first one got me a stop out but the second trade played out nicely. Actually, I thought the first trade would work out. We can see the nice reaction and the turn. 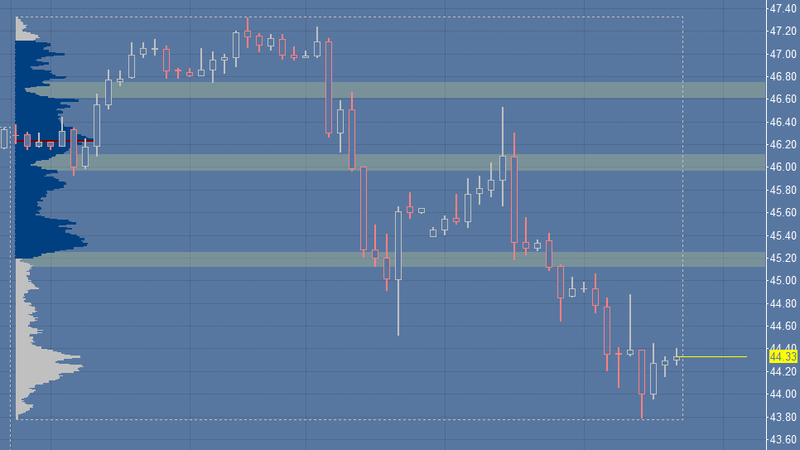 Seems the market came back for more liquidity to move to my actual target zone afterwards. In the end my decision to re-enter the trade was profitable this time. 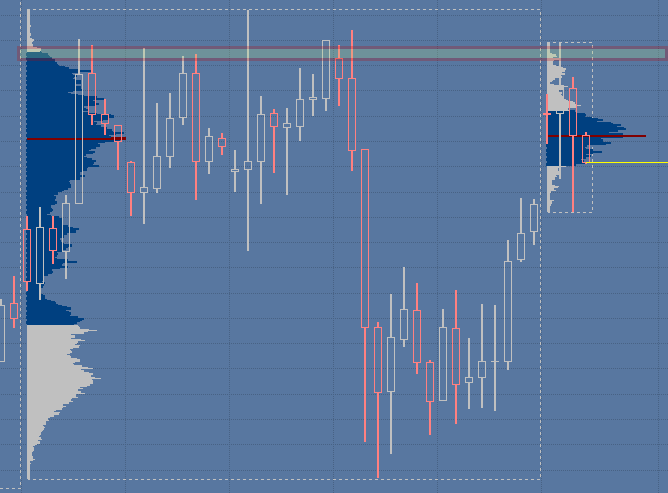 Most interesting in FDAX are the dialy volume profiles currently. Firstly, we can see a inside day which means we can look for potential responsive sellers above the high and responsive buyers below the low. Secondly, we have a ‘b’ shaped profile. My bullish scenarios will kick in if the market opens above the value. 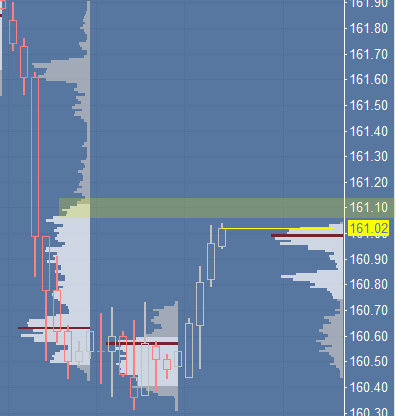 VAH and VPOC are areas of interest for sure. The Euro Bund is one-time-framing lower since several days. 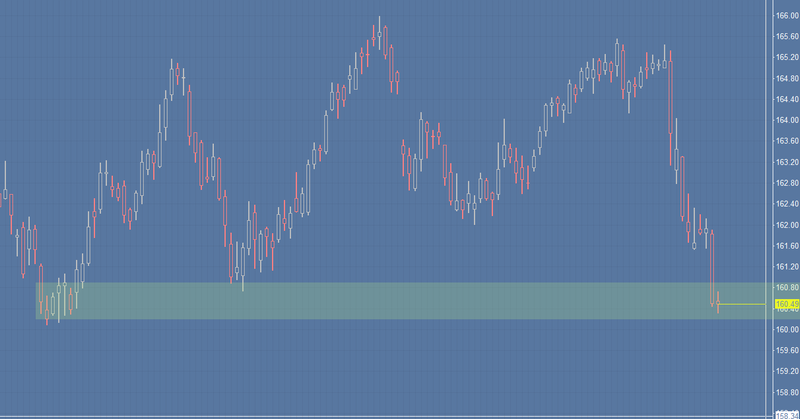 Potential supportive balance area could stop this bearish behavior in my opinion. I will be cautious for the next week. 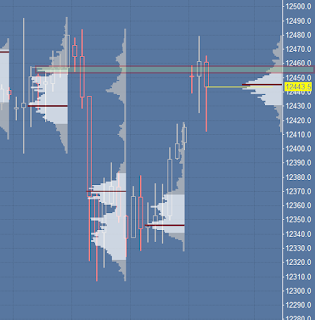 Looking at the weekly profile we can identify a double distribution profile. 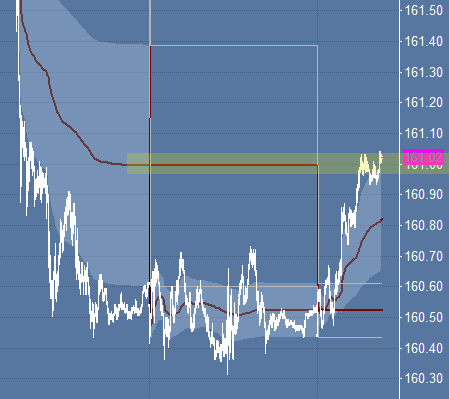 VPOC of the two distributions are areas of interest for sure. All depends on the open again. 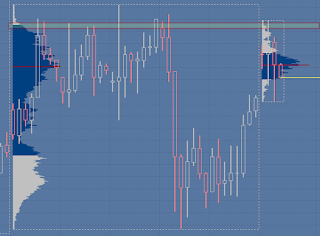 Open below range and I would expect a test of the lower distribution to sell off in the end. 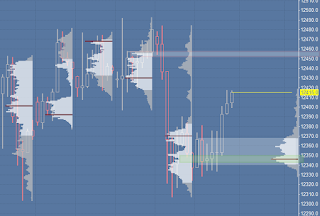 Open in range and I would expect the market to rotate between the VPOC. It is time to write an update for the next trading day. 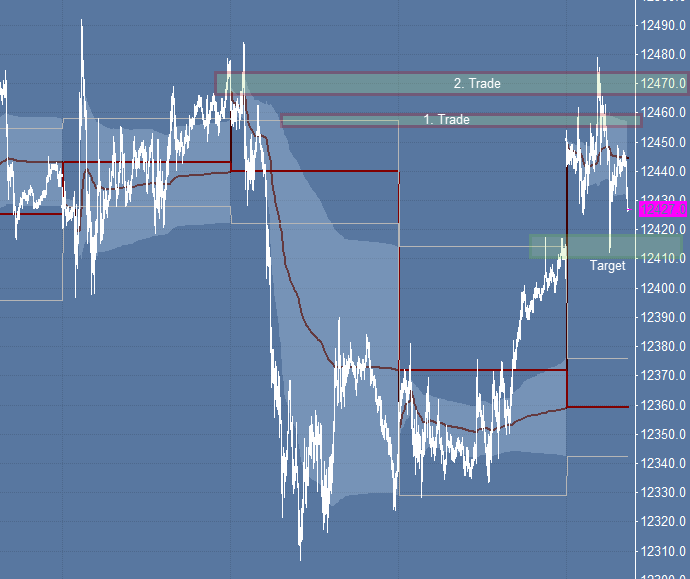 I will go only through four charts which would be the plain daily, weekly/daily volume profiles and the VWAP chart. Currently I stick to this simple approach for any market as it’s nerve-wracking to have hundreds of timeframes all over the place. First off the plain daily perspective: Thursday was an inside day. 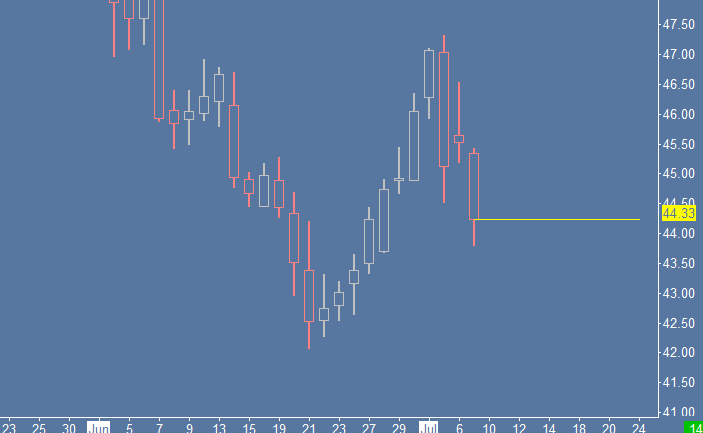 Friday broke the low and closed way below it. With this little observation I am quite bearish for Monday. The value close area is in the upper range of the previous week’s profile. 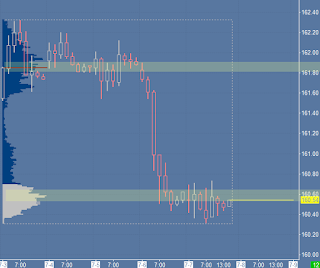 VAL and VPOC are potential resistance levels. Some low volume areas are observable as well. One of them is confluent with the VAL.